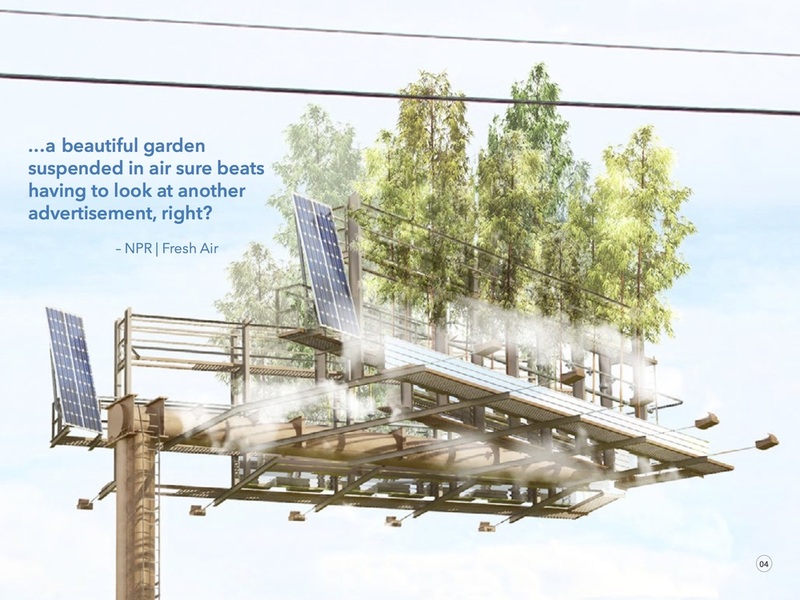 Urban Air - Global Art Installation — Steve Reiss & CO.
Co-developed with a team of advisors, this Stephen Glassman (artist-based) installation concept turns existing billboards into green-space for the purpose of creating greater awareness and information for the current state of Climate Change. We successfully launched a Kickstarter campaign and raised enough money to create prototype materials and vision board for further development. The project is currently awaiting approval and additional funding by the City of Los Angeles, Mayor Garcetti, the DWP, and Head of Sustainability Matt Peterson along with pending sponsor partners.